Aluminum presents special challenges to the fabricator as traditional methods of cutting with standard abrasive wheels are not possible. 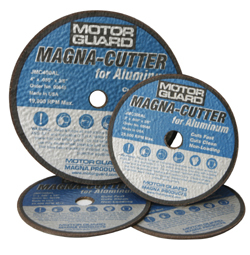 Motor Guard’s Magna-CutterTM abrasive cut-off wheel has been specially formulated to cut aluminum fast, cool and clean with no loading. 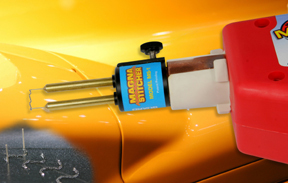 The Magna-Cutter is a resin-bonded abrasive cut-off wheel specifically designed for cutting aluminum sheet, plate, tubing and structural components. Available in 3” (JMC300AL) and 4” (JMC400AL) diameters, these Type 1 wheels are made in the U.S.A. of the highest quality abrasives and materials. An additional feature of Motor Guard’s new cut-off wheels is that, unlike standard wheels, they contain no ferrous materials, ensuring contaminant-free cutting. In addition, fabricators report that the Magna-CutterTM exhibits exceptionally long wheel life and has quickly become a shop essential. uniform cuts on a variety of materials and shapes. At less than 5 inches in length and weighing under a pound,the Motor Guard Palm Beveling Tool works where larger, more awkward tools won’t. A tool chest essential, the JMB-1250 features an adjustable chamfer depth and three triple-edged cutting heads that are indexable for long life. 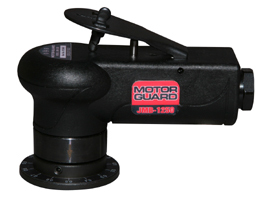 Watch the video below of the Revolutionary New Pneumatic Palm Beveling Tool from Motor Guard. M-Shape Stake for tabs and narrow sections. comprehensive line of Welding and refinishing products. 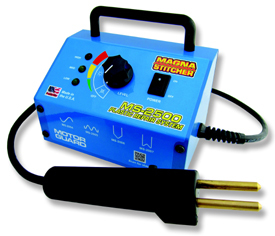 turning your stud welder into a plastic repair tool. on flat surfaces, tabs, holes, ribs, inside and outside corners. and other out-of-sight applications. Simply stitch and go! can be completed on the outside of the part. Now Available in an eye catching counter display. is now available in a convenient display package. and (2) spare replacement elements.